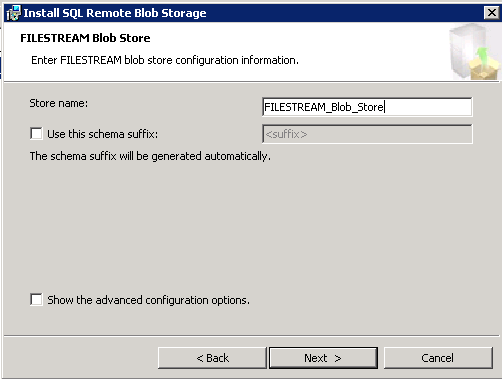 Where I can download Remote Blob Storage installation files for SharePoint 2010? 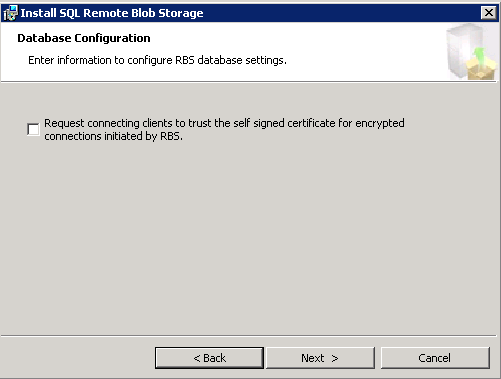 How do I install and configure RBS for SharePoint? 8. Now let’s go and install RBS. 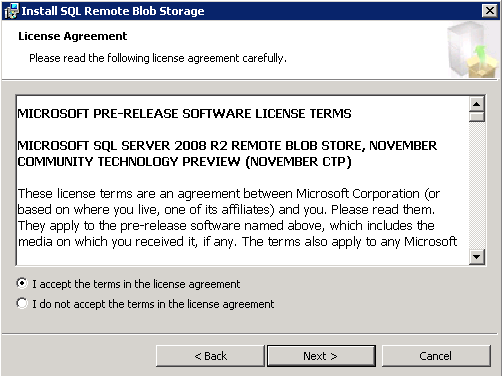 Best practice would be to install using command prompt but it won’t give you any steps about what’s going on. 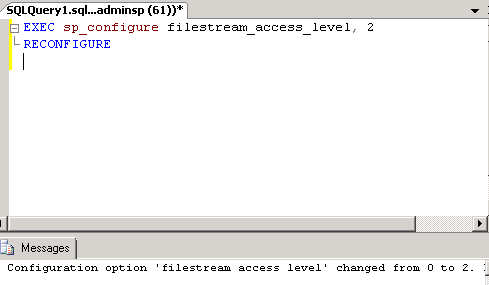 (open command prompt as administrator). 12. 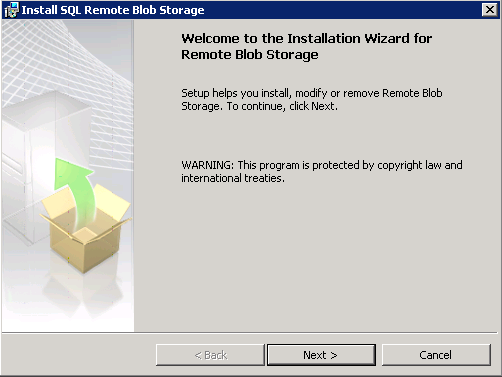 Welcome to the installation wizard for Remote Blob Storage wizard pops up. 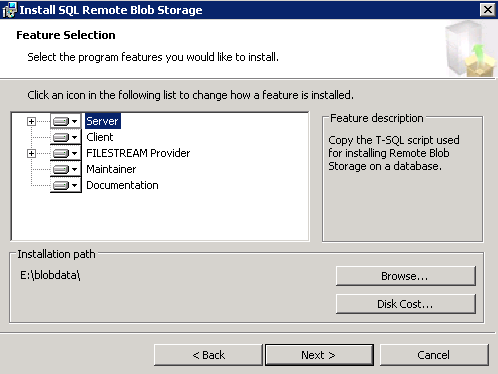 Setup helps you install, modify or remote remote Blob storage. 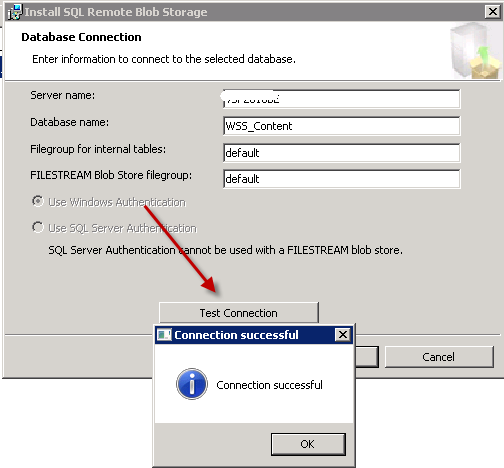 which your setting blob storage by hitting test connection. 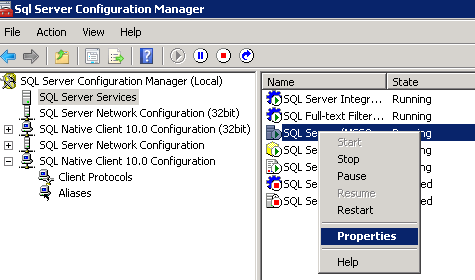 During installation, the windows task scheduler window will apper. 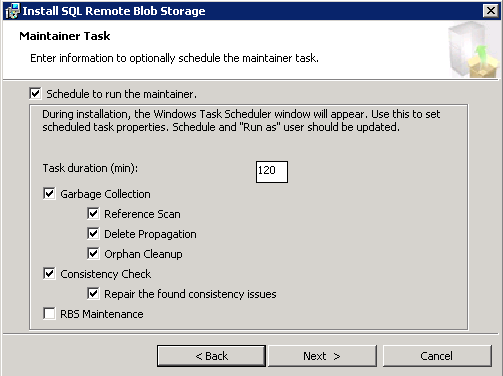 Use this to set scheduled task properties. 20. 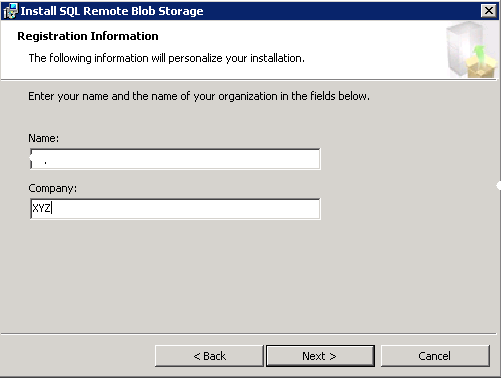 Install Remote Blob Storage. 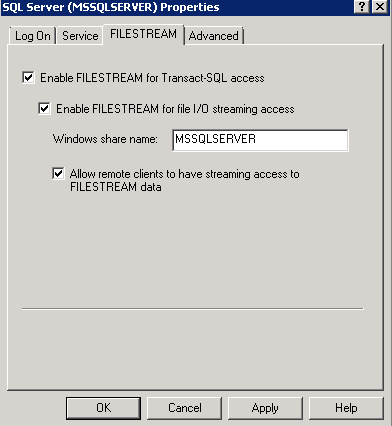 The program features you selected are being installed. 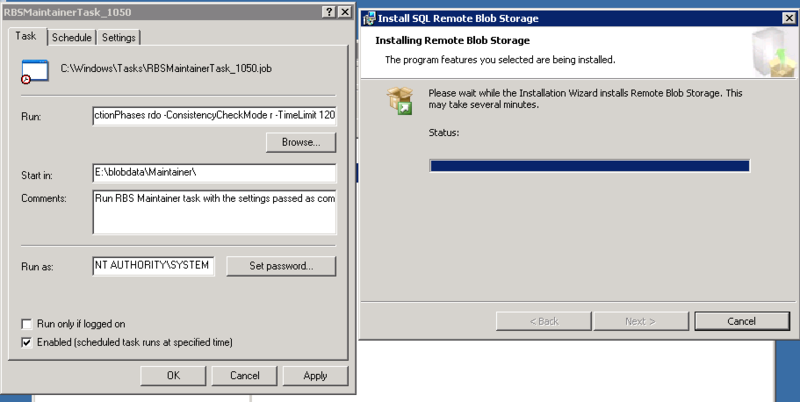 Please wait while the installation wizard installs remote blob storage. This may take several minutes. 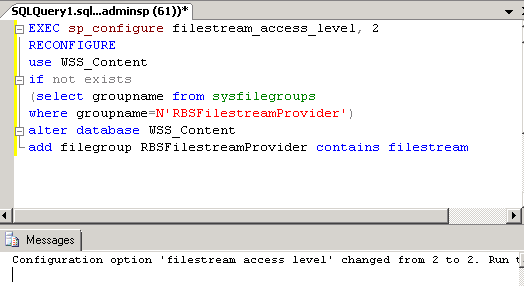 $rbss.Installed() – This should result in True. Else the next command will fail. 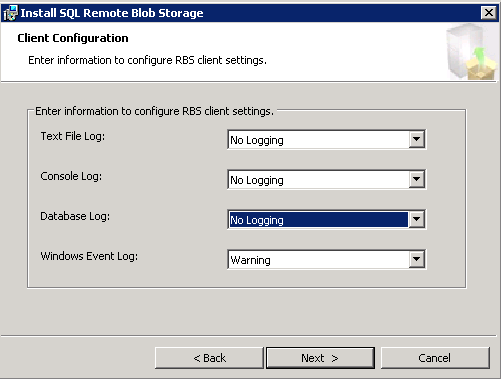 I have followed your blog and configured the RBS using UI. All configuration has been done successfully. 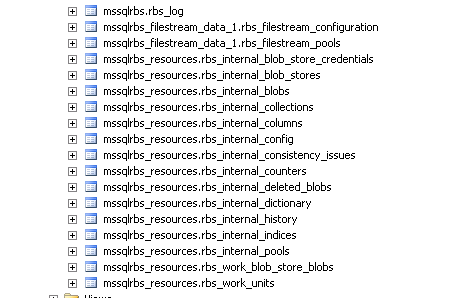 But i am getting error when i try to upload any file to the document library. 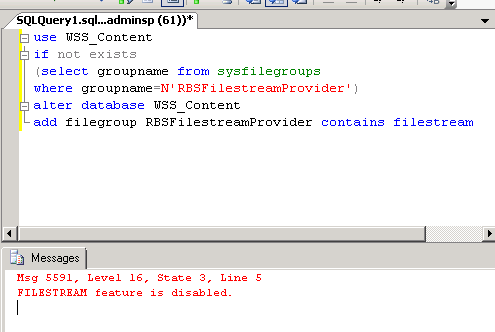 This error happens only for the RBS attached web application.